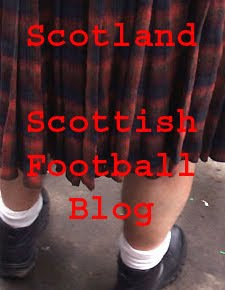 The Scottish Football Blog: Who Do You Think You Are? "The way I understand it, the home associations have an agreement," said Levein. "I'll tell you how I know. I tried to get Shola Ameobi at Newcastle a while back [to play for Scotland], because he has not played for England but has lived in the UK and has a British passport, so I thought he might be able to play for Scotland. But we had changed the rules." Levein described the rule as "more than a gentlemen's agreement", adding: "Maybe England are thinking of challenging it but it only came in a year ago. "I just used Ameobi as an example because he was somebody who had a British passport but it fell down because he didn't have the educational qualification. I understand that it's a newsworthy story but I don't want to go into enormous detail about Arteta. All I'm saying to you is, the way I understand it, they can't cap him." My own view is quite simple. Arteta shouldn't be playing for England, Ameobi shouldn't be playing for Scotland. I actually agree with some of the recent changes in the eligibility rules, especially those regarding education. It seems to me they reflect a changing society. And I'm an old, liberal romantic. I'm convinced that, say, an Afghan-born Glasgow educated twenty year old pulling on the Scotland strip would do a lot to promote our understanding of immigration, asylum and a multi-cultural society. In Ameobi's case I'd argue that living in England since the age of five makes him eligible for England not Scotland. But Arteta's is a very different case. He arrived in Glasgow to earn a lot of money, he wasn't escaping from the persecution of Barcelona's reserves. Since moving to Everton I've been blissfully unaware of his reinvention as a son of John Bull. If I moved to the United States for five years to earn a million dollars a year (very much open to offers, by the way) I'd not be worshipping the Stars and Stripes, I'd be a product of a global economy. That shouldn't be what international football is about. "From my point of view, my job isn't to decide who is Scottish, it's to win football matches. Take away the rest of it and keep my mind on that one thing, and I would be happy to play anybody. "I mean, it depends what you think about the current grandparent rule. A lot of guys I played with for Scotland were effectively English. So what's the difference?" What is the difference? Maybe when all is said and done the difference is purely emotional. As fans we want to have some link to our national team. That can be difficult when you need an episode of Who Do You Think You Are? to work out why your goalkeeper has been picked. It might be impossible when your star midfielder is, by every measure, Spanish. "My job isn't to decide who is Scottish." Well, enquiring about Ameobi would suggest that Levein does sort of see that as his role. The rules, as they are, are messy and "gentleman's agreements" are probably not the best way to run international football. The status of the international game is falling. But a kind of international transfer market is not the best way to halt the decline. It might be the best way to ensure that decline is irreversible. A simple solution, one that wouldn't solve every case but would be an obstacle to what I can see being a football equivalent of a land grab for the best available talent, would be to say that any age-group caps over the age of 18 dictate that you can only play for that country. OK, so some footballers aren't the brightest. But if you don't know what nationality you are by the age of 18 then there's something massively wrong. The starkest conclusion is depressing. Levein has looked at the talent pool and decided that forty year old defenders and Nigerian-born English attackers are his best options for success. Aye, we're doomed right enough.